Leopard with your choice of Purple, Turquoise or Brown Leather earrings. 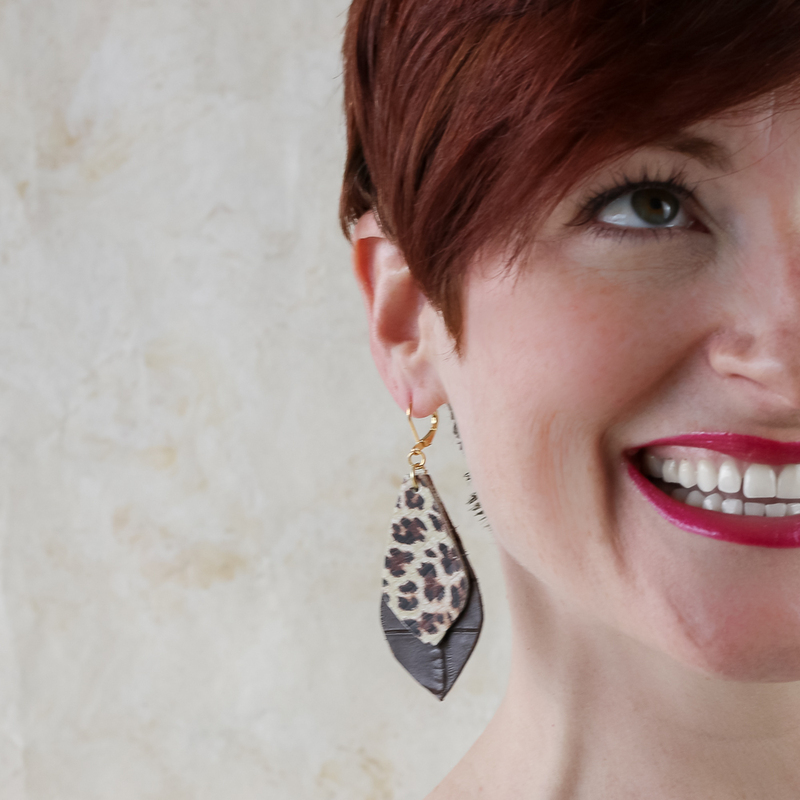 These Leather earrings are on trend and in the season’s most popular colors. 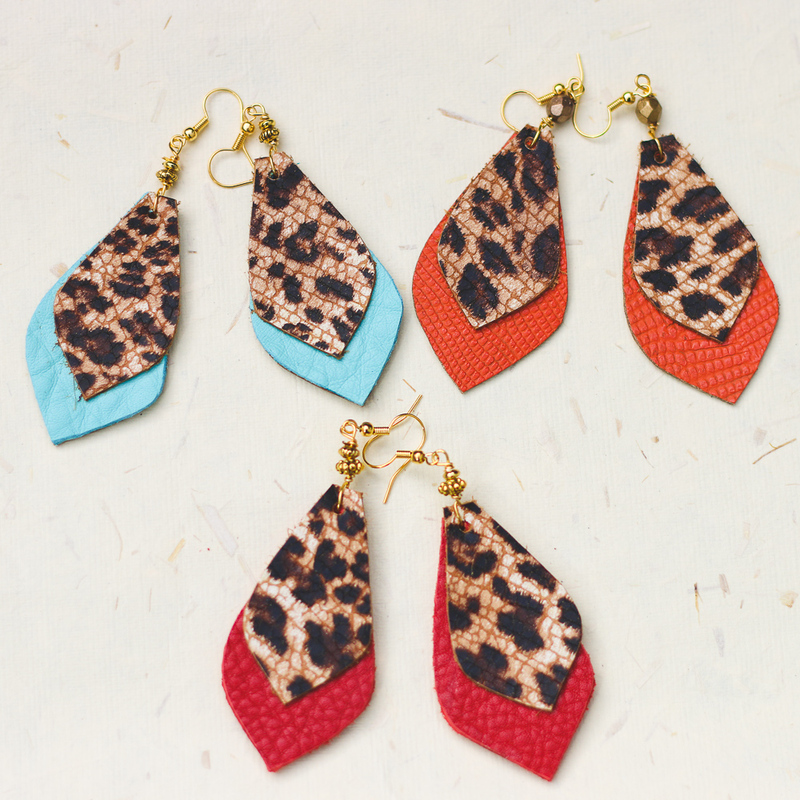 They are very lightweight but make a big statement. 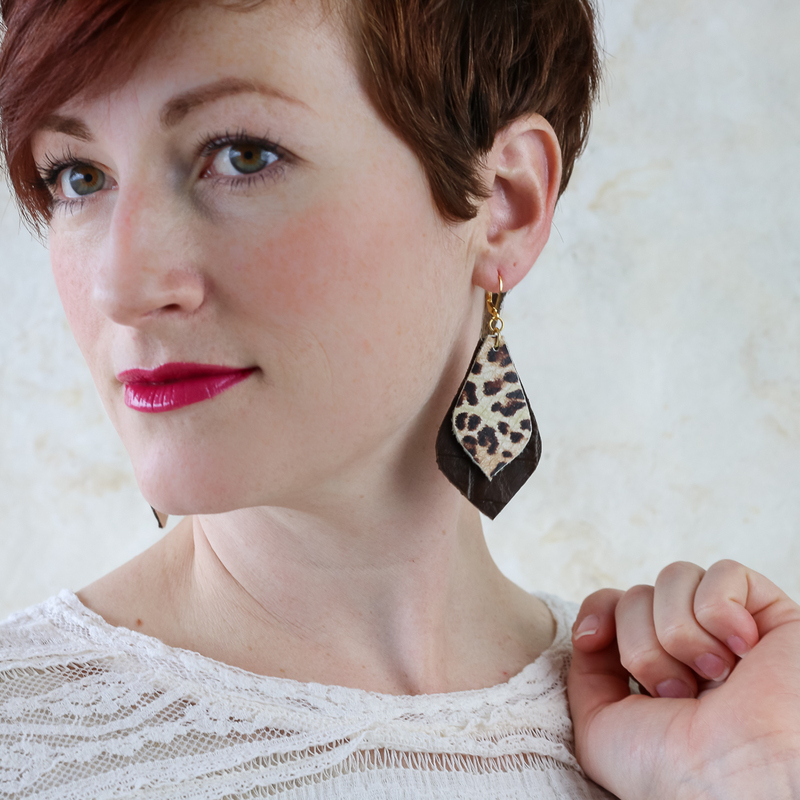 These leather earrings are handmade and backed with leather so the back looks as good as the front.